Are you a change maker? Do you want to have a positive impact in your community or organisation but things are moving too slow? Innovators are always adopting new technologies to be more effective. Instead of spending days to get people together for a workshop, change makers are getting first results from around the world. By using an online platform you reach more participants who can contribute anytime from anywhere. Empower your community by providing a platform for people and their ideas. 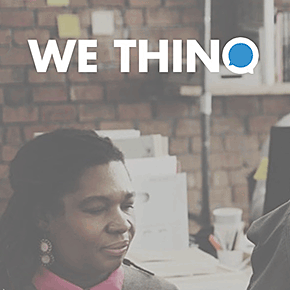 WE THINQ helps change makers lead communities to create social impact. Develop ideas and get meaningful feedback with our software. See change happen.